Mercedes Benz India has given the B-Class Sports Tourer a mild update. 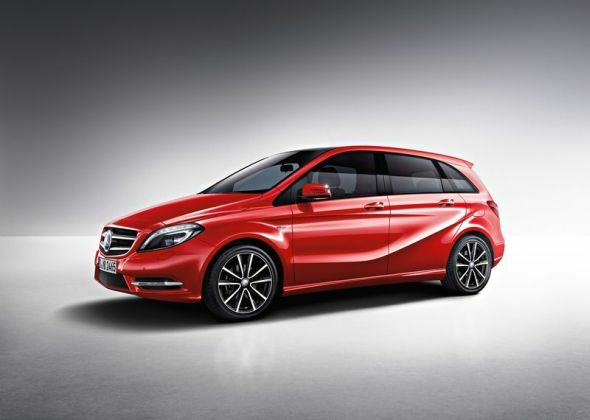 The B-Class is essentially a large hatchback in the entry-level luxury car range. The car is aimed at the younger lot of luxury car buyers, many of whom are said to be entering the Mercedes Benz fold for the first time. Mercedes Benz currently sells the A-Class and B-Class entry level luxury hatchbacks, with plans of adding the GLA crossover and CLA sedan to this list soon. Coming to the mildly updated B-Class, the hatchback gets three changes in the form of new alloy wheels, a standard reverse camera and a rear seat arm rest with integrated cup holders. 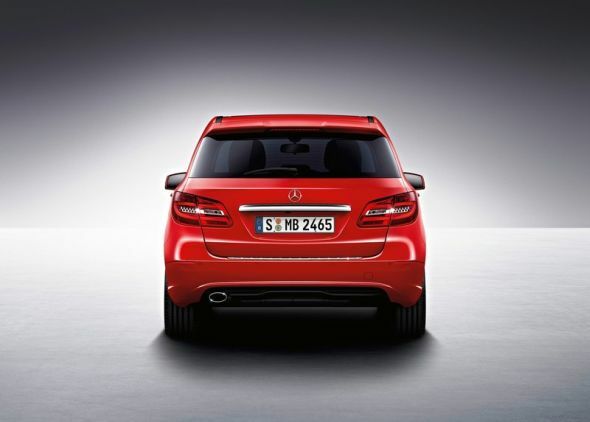 These features apart, the B-Class, first launched during 2012 in India, remains unchanged. The additional features has resulted in a price increase to the tune of 45,000 rupees. 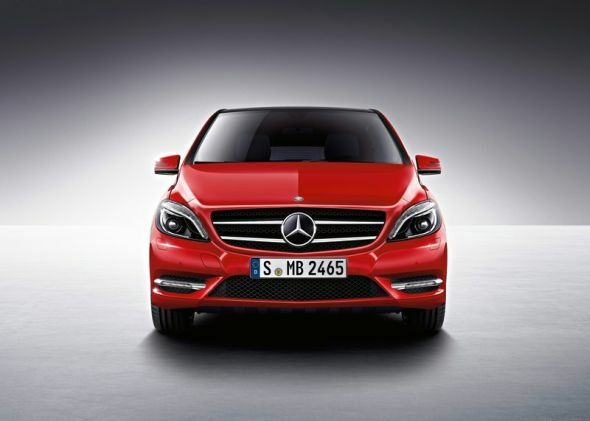 The new prices are applicable on the 2014 versions of the B-Class and not on the pre-facelift models. The B-Class sold in India gets two engine options. The petrol motor is a 1.6 liter turbocharged unit that outputs 120 Bhp and 200 Nm while the diesel motor is also a turbocharged unit that displaces 2.2 liters and outputs 107 Bhp-250 Nm. Both engines get a 7 speed automatic gearbox that drives the front wheels of the car. The diesel powered B-Class is the major seller what with the luxury car market heavily skewed towards diesel engined cars. 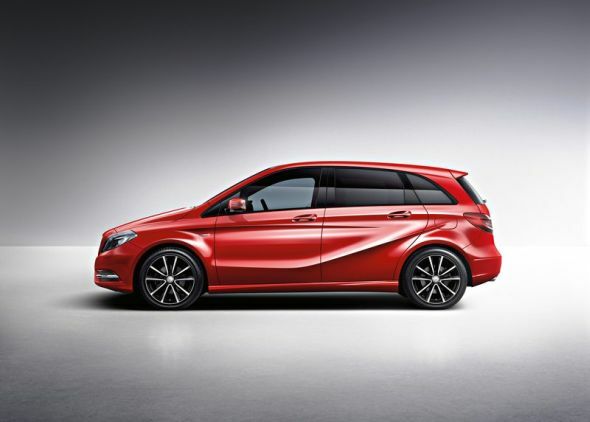 The B-Class is based on Mercedes Benz’s Modular Front Architecture (MFA). This architecture underpins all entry-level cars of Mercedes Benz. The B-Class is assembled in India through the CKD kit route at Mercedes Benz’s Chakan factory, off Pune. The car starts at 23.11 lakh rupees for the petrol variant while the diesel variant starts at 26.83 lakh rupees, both prices reflecting ex-showroom Delhi figures. 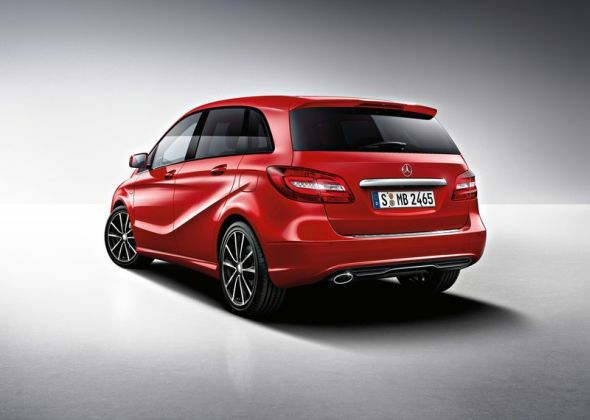 Year end discounts are available on the B-Class at most Mercedes Benz dealerships.